Due to the time and money involved, filing an injury lawsuit is a decision you should never take lightly. After all, if you lose your lawsuit or your case is dismissed, it’s likely you’ll never recover for your injury or losses. So your best bet is to consult or hire a lawyer before you file your lawsuit. That way you get a firm understanding of the process and your chances of winning. 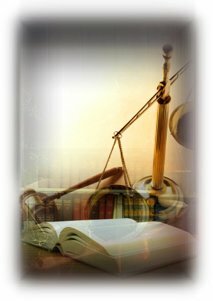 After you decide to file a lawsuit, your lawyer (as well as the defendant’s lawyer) will begin collecting facts. Evidence is gathered from documentation, medical files, and questions asked to parties involved in your case. There even may be depositions (oral examinations under oath) just like you see on TV. This “discovery” process – which can take several months – is important because it allows your lawyer to build strong support for your claim. During this time, there is a chance your lawyer will try negotiating a settlement. Your case could end here if all the parties involved agree with the offer. After the discovery process (and before a trial can begin), a motion disposition with lawyers from both sides is held to determine the “rules” moving forward. For example, there may be a request to withhold evidence from the trial for fear it might unfairly sway a jury’s decision. As you can imagine, a lawyer with significant experience puts you at an advantage during this procedure. The next step is the pre-trial phase when a judge will review the evidence your lawyer and the defendant’s lawyer plan to present. The judge will likely suggest a settlement amount at this point or assign a neutral third party to help resolve your case. When all settlement attempts fail, a trial is your final option. But be prepared to wait – getting a court date assigned for your case can take years. Furthermore, multiple trials are often scheduled on the same day and priority is given to older cases. When you do finally get your day in court, all witnesses will come in and testify – including the parties involved (e.g., eye-witnesses, doctors and other experts) – and, hopefully, the jury will give you justice.